Red pepper self defense spray is very common in modern self defense sprays. In the past dangerous chemicals were used in these sprays, but in recent years those chemicals have been removed and replaced with more natural pepper derivatives. OC (Oleoresin Capsicum) is a form of chemical that is totally natural and a derivative of a variety of hot pepper plants. OC pepper spray is the most common and when purchasing a self defense spray you will likely be purchasing a pure OC spray or a mixture of OC and man made chemicals. OC red pepper self defense spray is non-toxic and is not dangerous to tissue in most pepper sprays. OC Sprays are available in different strenghts that range from 1% to as high as 20%. Do not use the percentage on the label to determin how strong your spray is. The reason for not using the percentage is that different peppers have different heat ratings. A green pepper is not nearly as hot as a jalipino pepper so a 20% spray made up of green pepper would be a fraction the effectiveness of a 5% jalipino self defense spray. To determine the true strenght of your pepper spray you should look for the standard form of measuring OC pepper sprays, the Scoville Heat Unit or SHU. SHU’s can range from 0 SHU’s all the way up to 5,000,000 SHU’s. A sparay with a heat rating of 5,000,000 SHU would be a very hot and effective spray for self defense. You may also want to take into consideration the carrier agent used with the OC. The carrier agent helps the OC move from the spray through the air to your target. You will find that most carrier agents are ketone and alcohol. You will also find different forms of oils and other solvents commonly used. 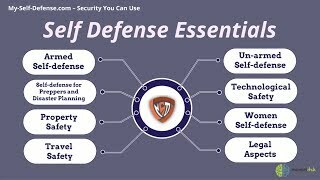 A spray using ketone or alcohol should work great for the common self defense spray. A good quality red pepper self defense spray will take down an assailant even if they are under the influence of drugs or alcohol. A self defense spray with a high SHU will help you feel safe when walking down the street alone at night. Keep in mind that it is always a good idea to purchase 2 sprays so you can test one and get a feeling of the way the spray is dispursed and how to actually use the spray.